The event, which took place from October 5 to 7, 2018, was under the theme: “The Uniqueness of the Christian Faith”. 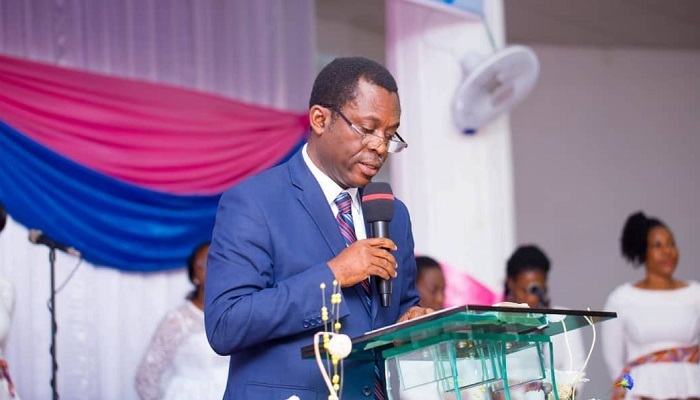 Presenting a lecture on the final day of the event, the Principal of the Pentecost Theological Seminary (PTS) of The Church of Pentecost, Apostle Dr. Emmanuel Anim, said that the Christian faith is all about building a relationship with God. Explaining the uniqueness of Christ and hence the Christian faith vis-à-vis other religions and ideologies, Dr. Anim cautioned Christians to defend the faith with gentleness and respect as the Bible teaches in 1 Peter 3:15. He noted that defending the Christian faith (Apologetics) is a complex venture since Christians usually base their arguments from the Bible. “Where other religions do not share in our strategy of sharing our faith using the Bible as a starting point, we can help them by using the testimonies of our experience with the Lord. Our testimony defeats all arguments,” he advised. The PTS Principal also revealed that before Christians go to the extent of appealing to philosophy to defend the uniqueness of the Christian faith, they must first start from the Bible and be well-versed in the reason why we Christians believe what we believe. In explaining the uniqueness of the Christian faith among the three major Abrahamic religions (Judaism, Christianity, Islam) and African Traditional Religion, he drew attention to the Genesis narrative to assert that Christianity is not supposed to be a religion in the strictest sense but rather a way of life. Starting from Genesis Chapter 1, he established the fact that the Bible considers God as the first cause, thus it reads “In the beginning God . . .” He further explained that the Lord is a God of order hence He (God) instructed the first people on how to live in the place He placed them. Apostle Dr. Anim, therefore, bemoaned how people mismanage the earth, stressing that when God tasked humankind to subdue the earth, He (God) meant that people should manage the earth and not to exploit it. He continued that at Genesis Chapter 12, another dispensation emerged in which God called Abraham to initiate a restoration where people will reflect the image and likeness of God in thinking and deed. Apostle Dr. Anim, therefore, called on Christians not only to crave for the blessings of Abraham but also to learn from his (Abraham’s) life of trust and obedience in God. Dr. Anim also revealed that Judaism and Islam emerged from the life of Abraham. He linked Judaism to its practitioners’ unwavering hold onto the Old Testament (The Law or Torah, Writings and the Prophets) and linked Islam to their belief that it is through Ishmael, the first son of Abraham, that the promise of God is given. The PTS Principal underscored the fact it is Christ who gives meaning to the Old Testament and that is also in Christ the true children of Abraham are revealed. He emphasised that the birth, ministry, death and resurrection of Jesus Christ sums up the uniqueness of the Christian faith, adding that death could not hold Christ captive and it is Christ who has the power to grant life. Apostle Dr. Anim, therefore, advised Christians to focus on the power of the resurrection and live the Christian life in hope and confidence. He urged believers, particularly African Christians, not to yield to the fear within the African traditional religious cosmology that some has translated to Christianity, but to rather focus on the unique Christ who is above all.